M&P can make custom Ultem Machined Parts to your specifications or drawings. We have a plastic machine shop; Ultem® is one of the plastics we can use to make parts. Ultem® is a brand name for polyetherimide (PEI). Ultem® is an amber transparent high performance polymer which combines high strength and rigidity at elevated temperatures with long term heat resistance. Ultem® offers excellent dimensional stability combined with broad chemical resistance. Ultem® is inherently flame resistant and generates a low amount of smoke. Ultem® excels in medical reusable applications requiring repeated sterilization and is available in FDA compliant colors. Ultem® excels in hot air and water environments. Ultem® is hydrolytically stable; it retains 100% of tensile strength after 2,000 steam autoclave cycles at 270°F. Ultem® also retains 85% of its tensile strength after 10,000 hour boiling water immersion. It is also UV and gamma radiation resistant. The glass reinforcement in Ultem® yields exceptional strength-to-weight ratio and increased tensile strength. 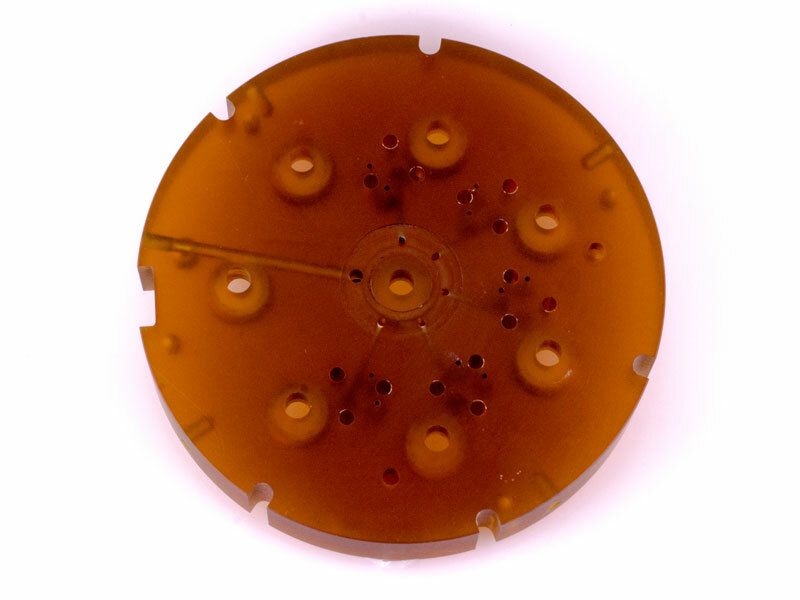 Ultem® Machined Parts are made in a completely controlled environment. Ultem O-rings, Ultem Seats, Ultem Bushings, Ultem Bearings, Ultem Guide Blocks, Ultem Wear Pads, Ultem Washers. Ultem® is a registered trademark of SABIC Innovative Plastics IP BV.